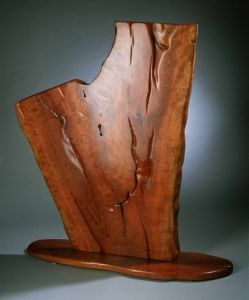 A huge crotch piece with tremendous surface variations and rich color. 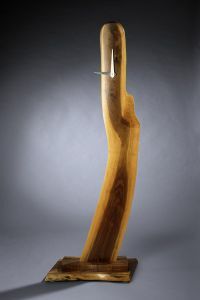 I envision this piece paired with the 9 foot cherry table. 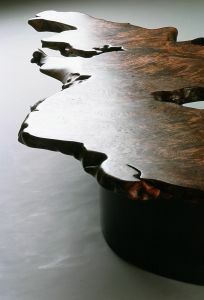 This French walnut slab is one of seven pieces I have from the same log from France. 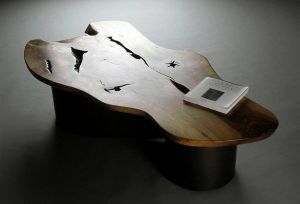 It has great color and interest. I envision this sculpture paired with the coffee table or other sculptures within the series. The cherry body and base are rich in color. 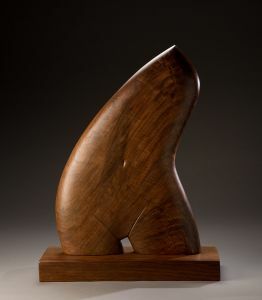 The shape cannot be explained, but has a real presence and feeling. The first in a series of walnut clocks. 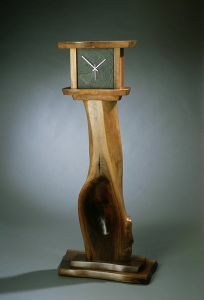 This is my idea of a grandfather clock. The walnut body has great shape with a spoon-shaped carving. The overall proportion is strong. 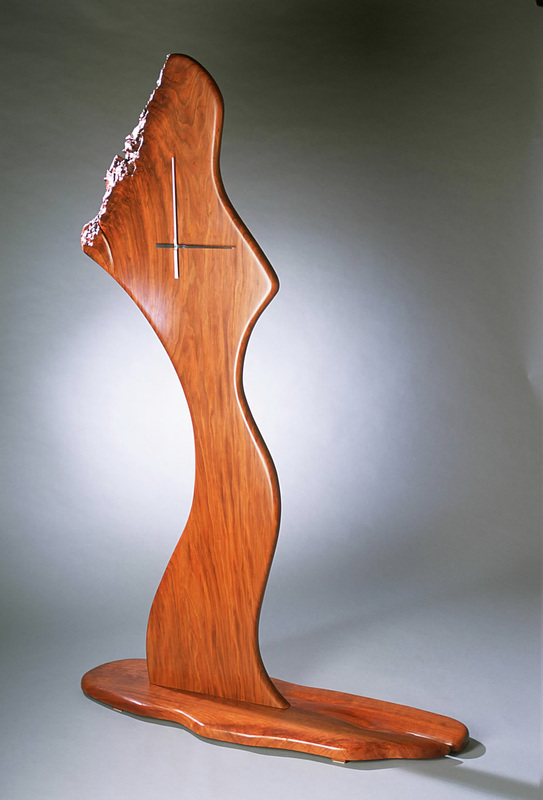 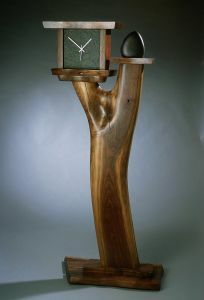 My vision with this clock was to combine a cherry wood base and body with a bronze clock face. 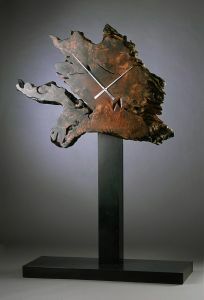 The clock face was hand-built with clay, then cast in bronze using the “lost wax method.” The proportion between wood and bronze is critical. 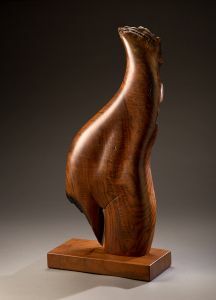 This is the first of a series, in which I will use the same bronze face, but each base and body will be unique. 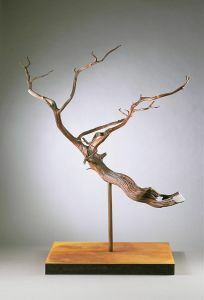 The part that represents hair dictated the entire piece. 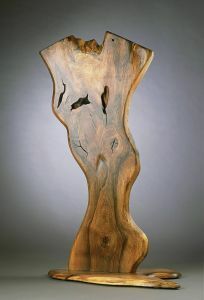 The cherry is like silk, and rich in color. The sculpture has a real presence. 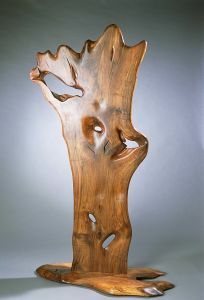 This French walnut slab is one of seven pieces I have from the same log from France. 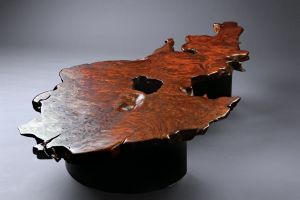 It has great color and interest. 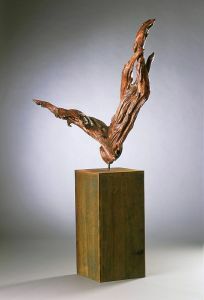 I imagine this sculpture paired with the coffee table or other sculptures within the series. 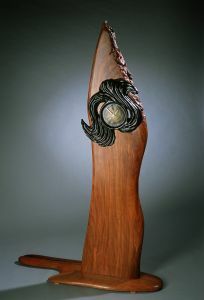 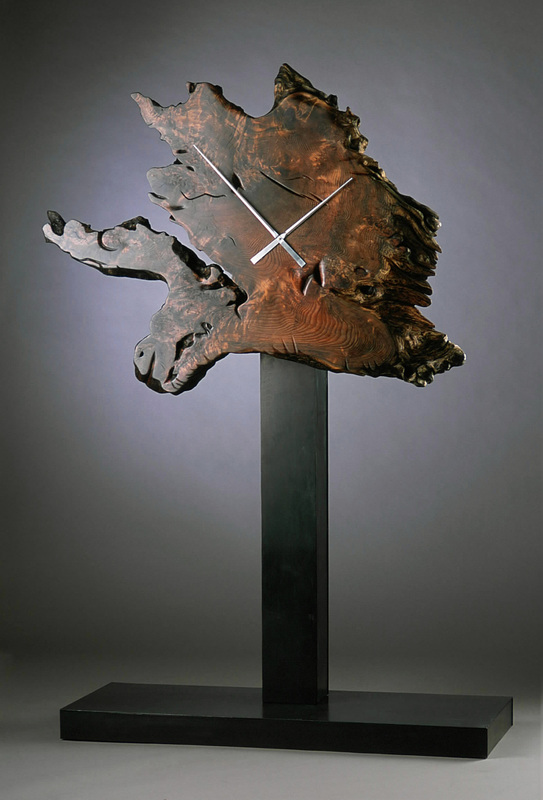 This redwood root clock has a 5 foot wide steel base with black patina. The redwood is a section of a stump that was excavated from the ground. 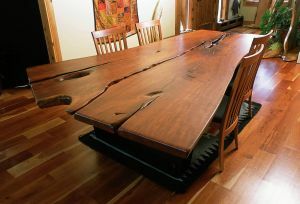 The tree was cut over 100 years ago, but because redwood is impervious to rot, the stump remained intact all these years later. 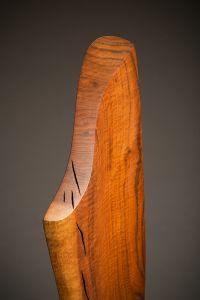 I feel honored to have been able to work with this piece of redwood. 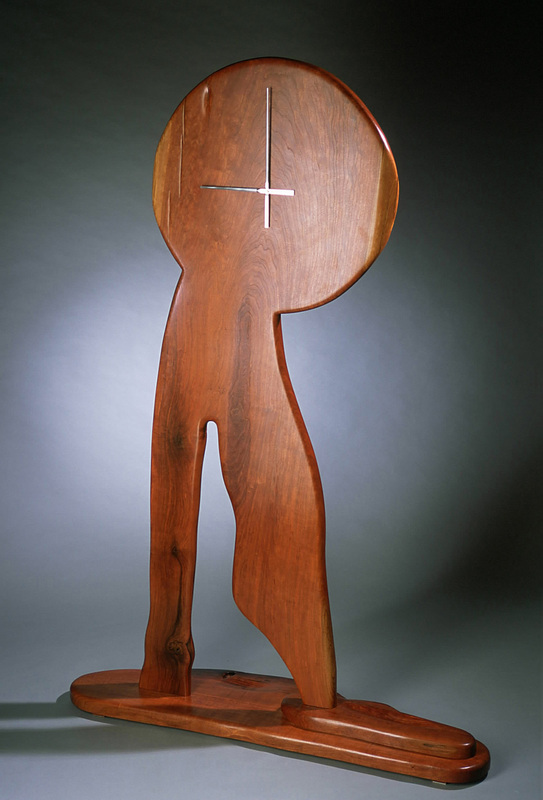 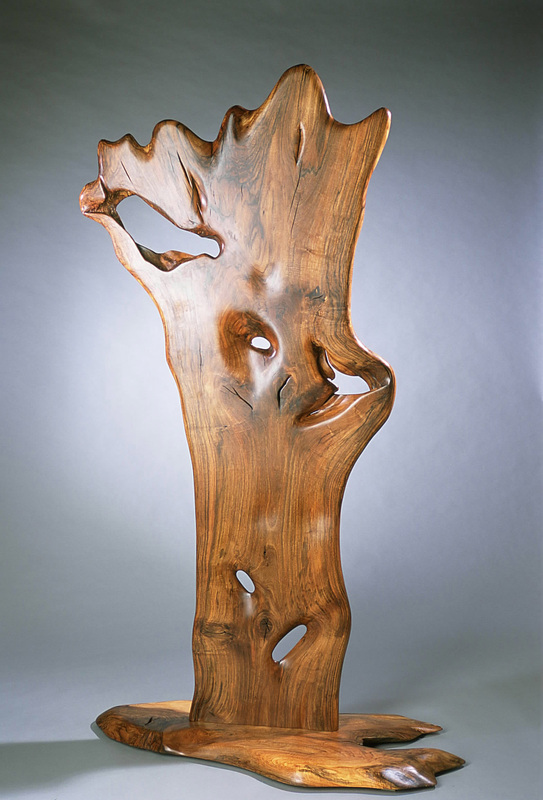 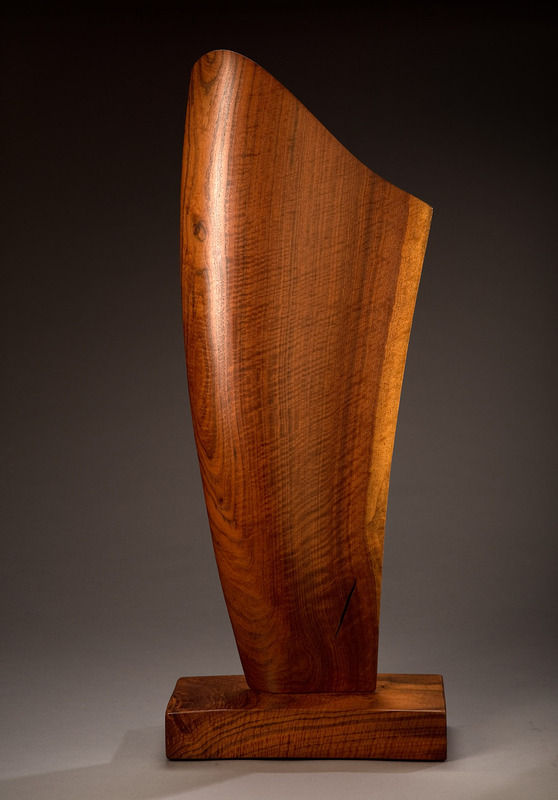 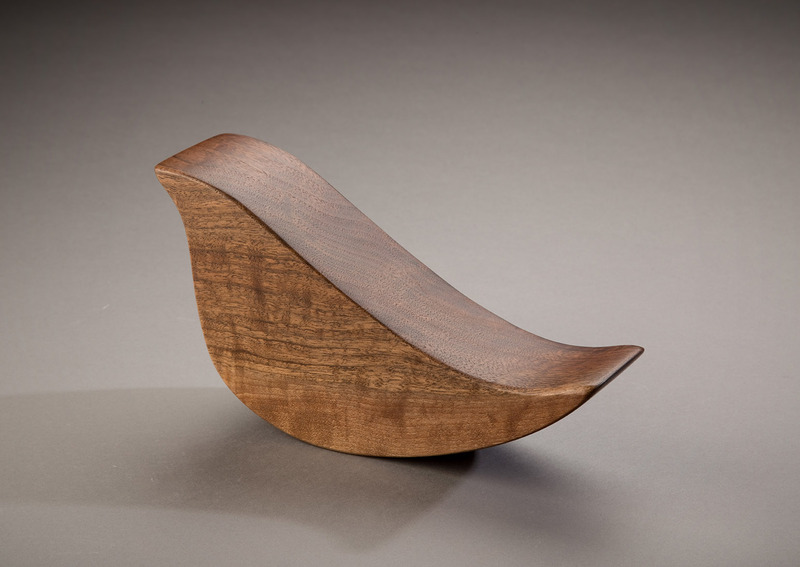 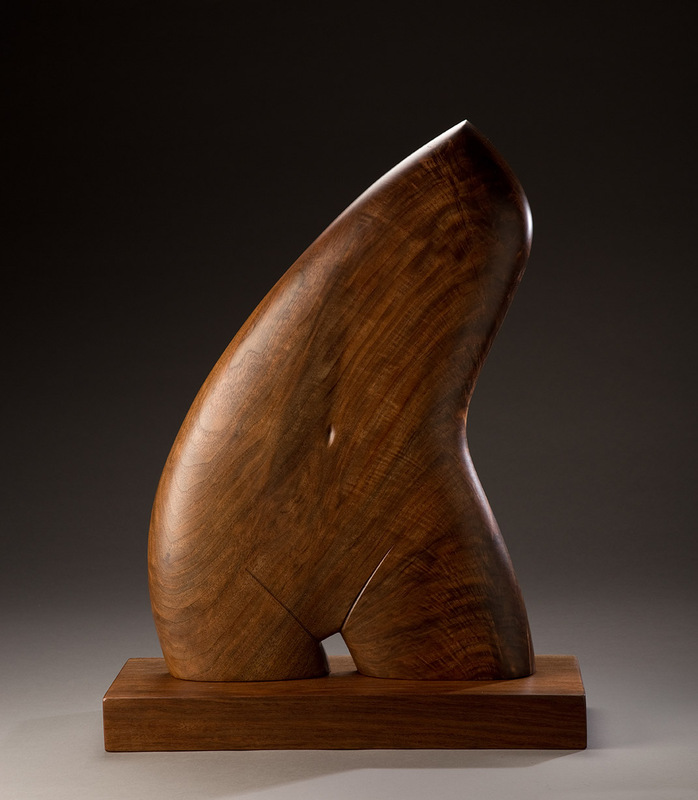 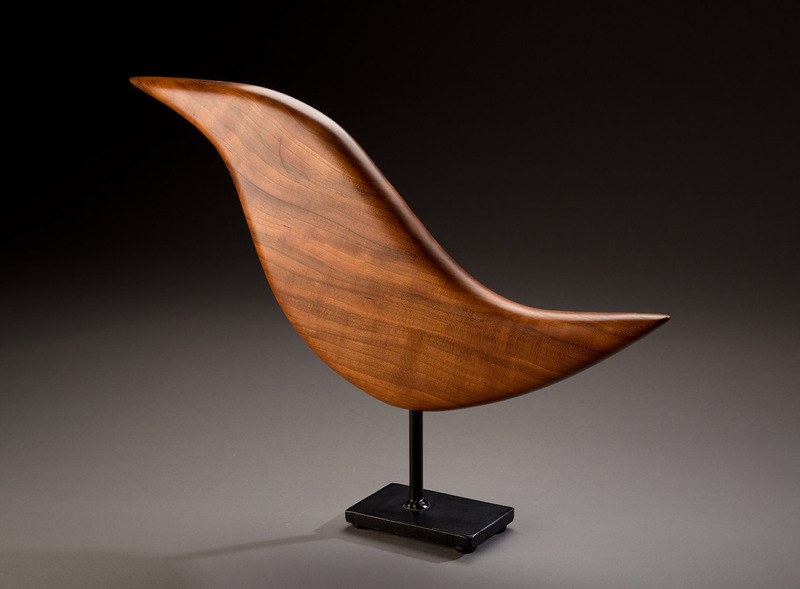 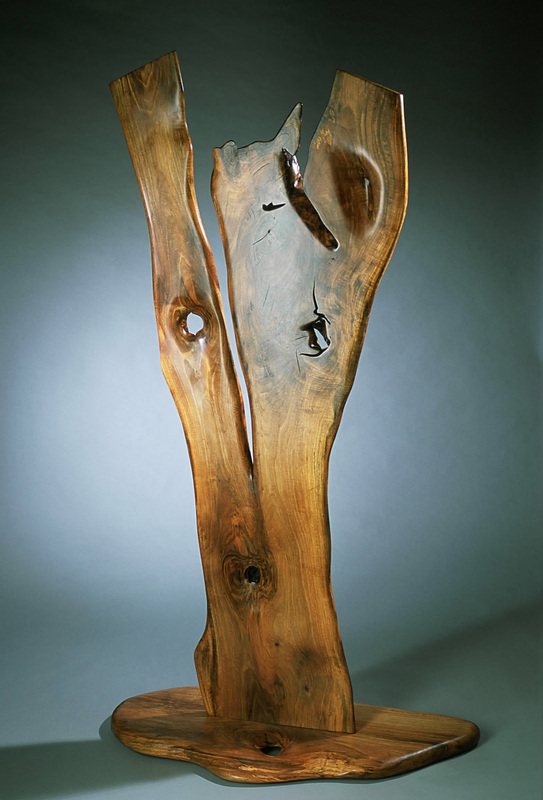 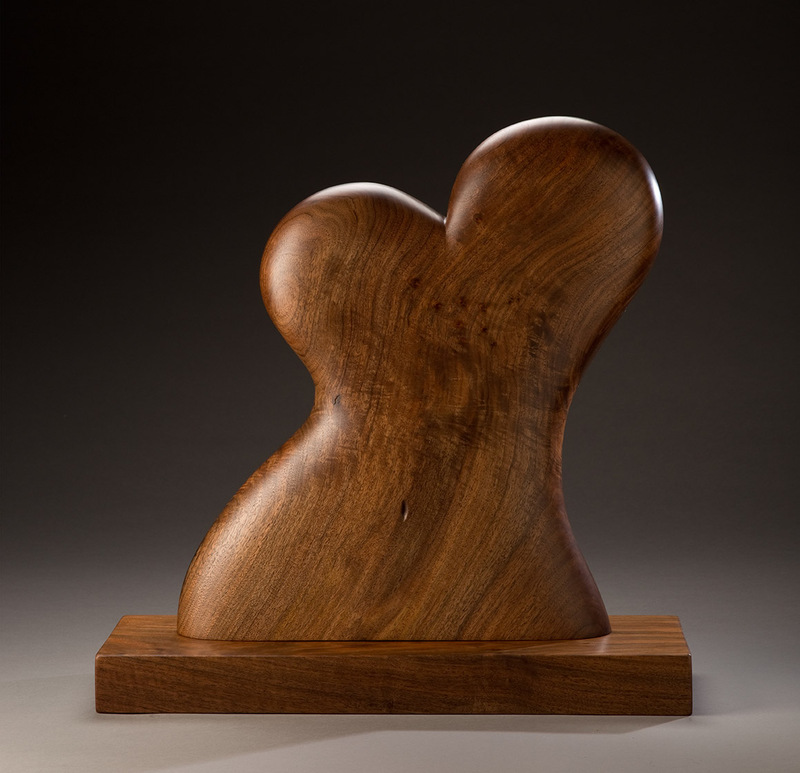 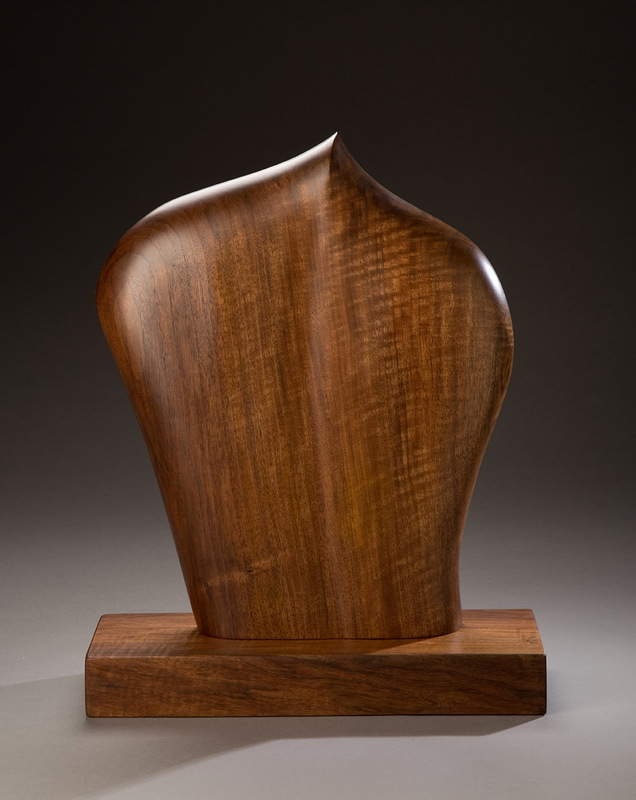 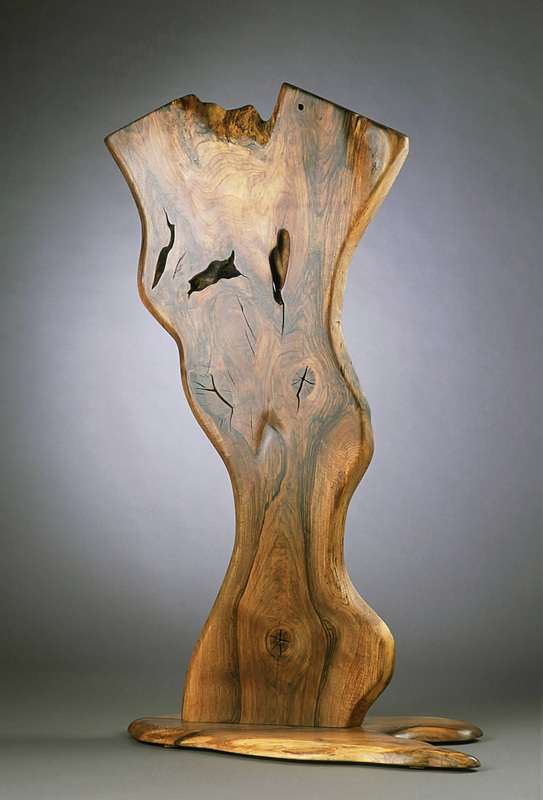 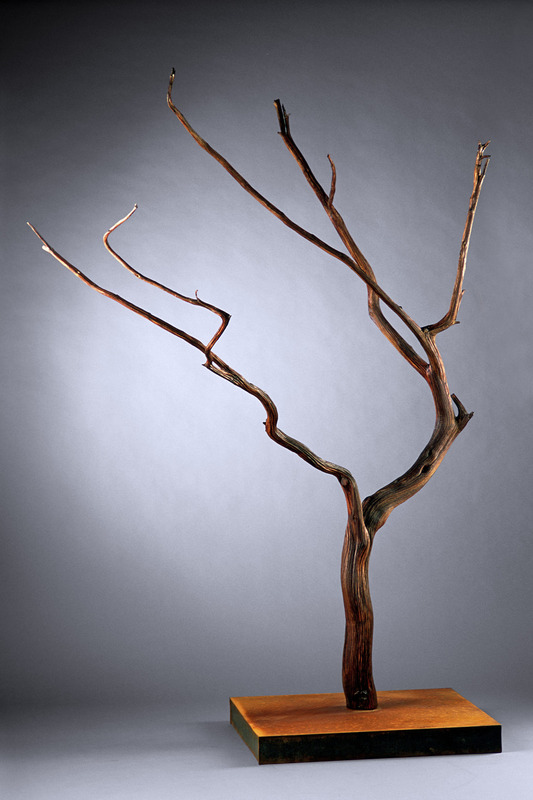 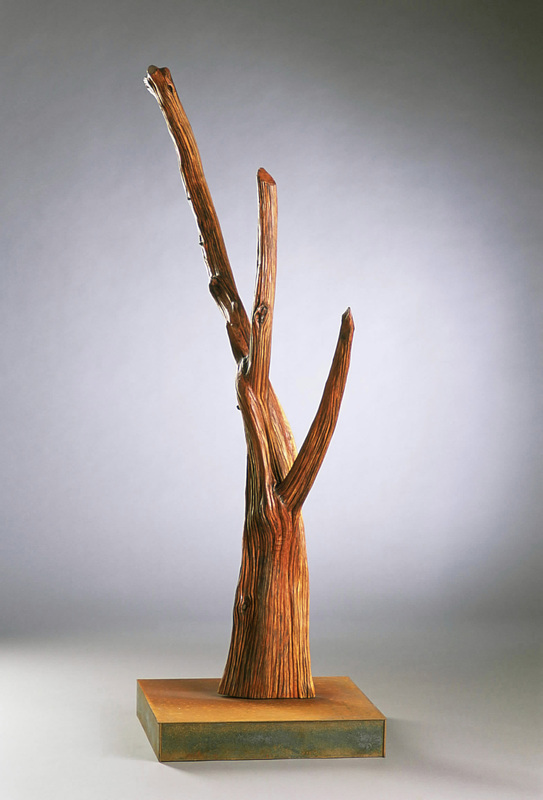 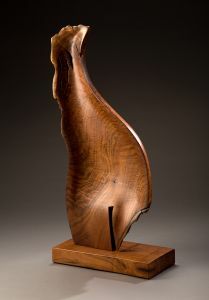 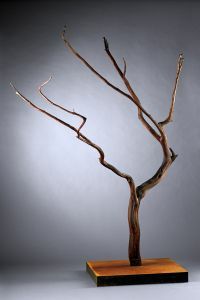 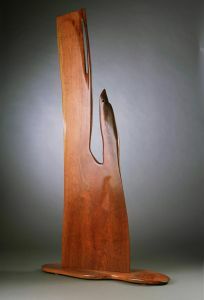 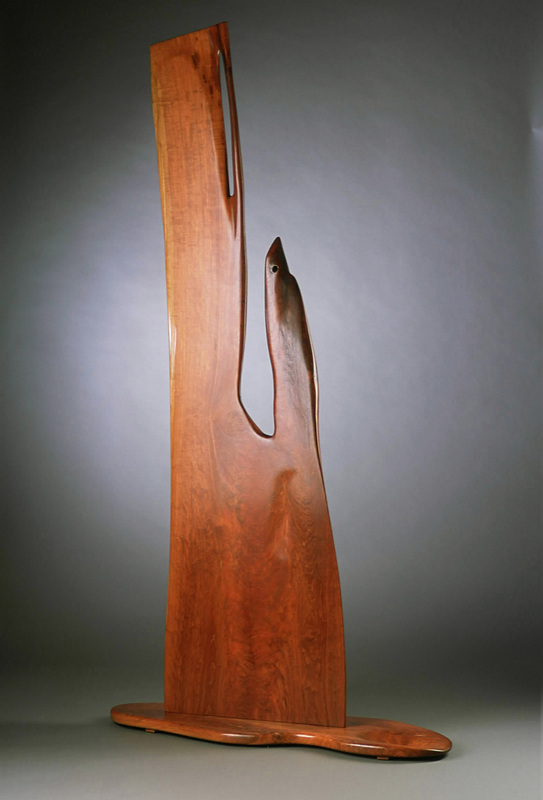 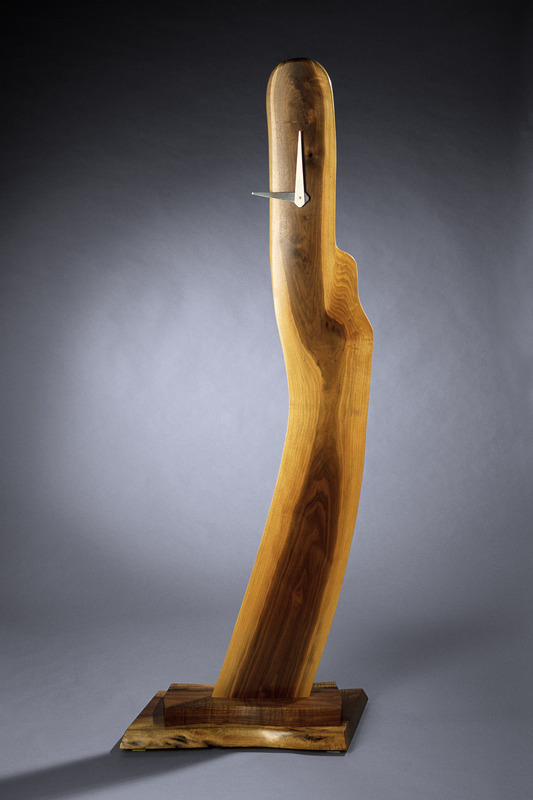 This tall abstract cherry sculpture has sensual shape, rich color, and interesting deep cracks on the side. 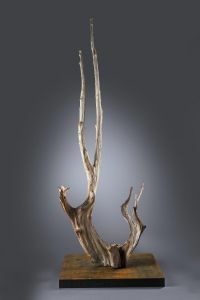 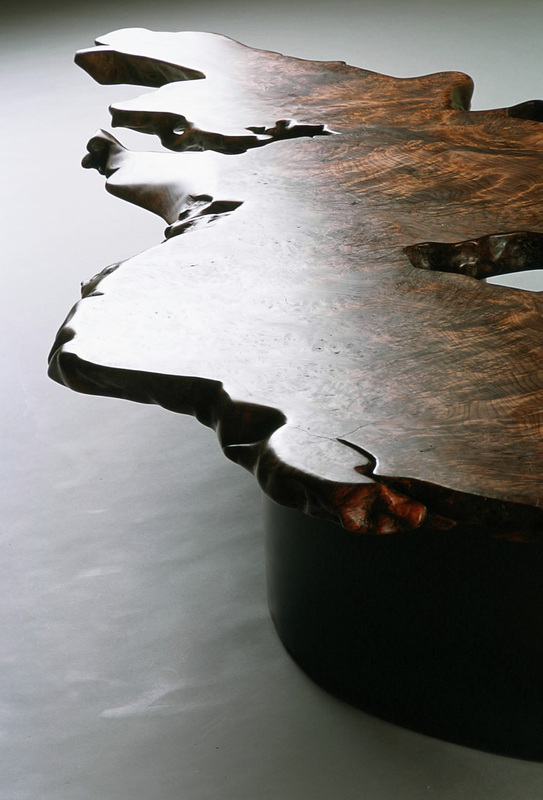 This large piece makes a dramatic statement in a room.